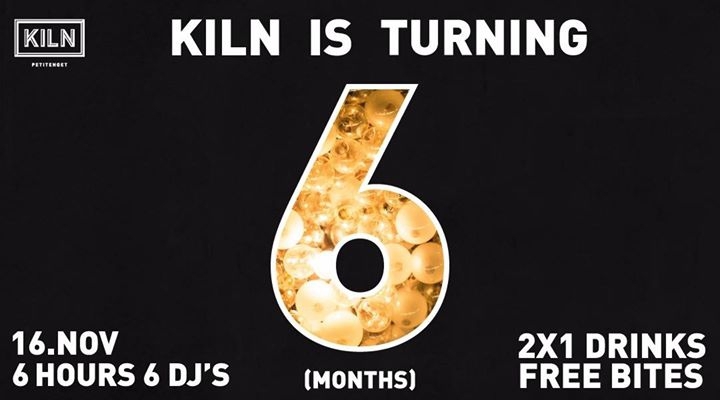 KILN is turning 6 this November....... well, 6 months anyway, plus they were looking for an excuse to have a party, so everyone is a winner. Come and enjoy KILN's Halfiversary with a night of 2-4-1 cocktails and beers plus incredible music brought to us by the Bali All Star DJ's. If that wasn’t enough your favourite Kiln snacks and nibbles are complimentary from 9pm until close. Big tunes, free food, and 2-4-1 drinks, whats not to love?